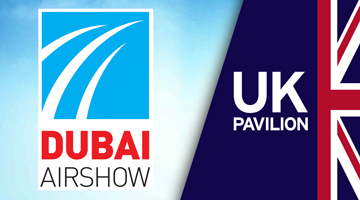 ADS is pleased to announce they will be hosting a UK Pavilion at Dubai Airshow 2019, consisting of over 200sqm worth of space. This is an exciting opportunity for UK companies of all sizes in aerospace and defence sectors to exhibit their company and promote their products and services to the global aerospace and defence industries. The UK Pavilion will be in a prime location, close to the main entrance of the exhibition hall to ensure maximum footfall as well as being close to other well known primes. Trade Show Access funding grants valued at £2,500 are available for applicable exhibitors. Please apply as soon as possible. Find out more. Do not hesitate to contact a member of the sales team for any clarifications, otherwise please secure your space by booking online.